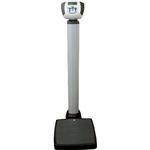 The Health-O-Meter 599KL is the ideal digital medical scale to replace your old-fashioned balance beam doctor scales. 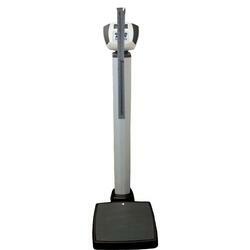 It offers many great features that are terrific in any medical or home setting: a large base, large 600 pound capacity and the time saving feature of super-quick, accurate weighing. 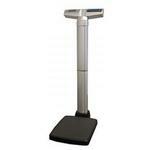 The Health-O-Meter 599KL digital beam scale uses sophisticated microprocessing technology for highly accurate results. 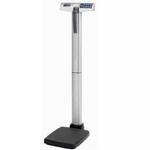 Each Health-O-Meter medical scale is designed to be accurate, reliable and repeatable with features that make the weighing process simple, fast and convenient. EMR Connectivity Scale has the ability to interface with a computer, EMR software or other electronic device via various Health o meter® Professional Connectivity Solutions. 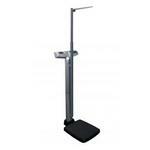 Calculates Body Mass Index (BMI) Scale functions include the ability to calculate the patient’s Body Mass Index (BMI).